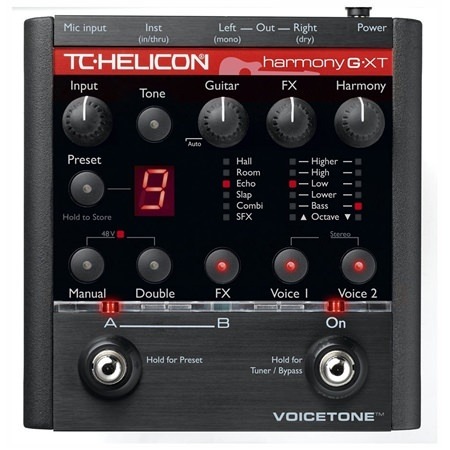 The VoiceTone Harmony-G XT takes everything that made the VoiceTone Harmony-G a huge success — and makes it even better! The VoiceTone Harmony-G XT takes everything that made the VoiceTone Harmony-G a huge success — and makes it even better! 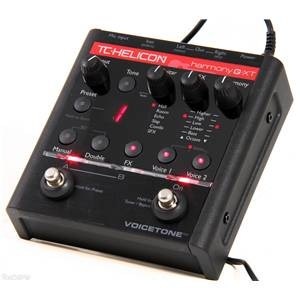 Providing a perfectly crafted backing harmonies, this is the perfect pedal for singing guitarists looking to add vocal harmonies to their sound on a live stage. Harmony-G XT analyzes the voice and guitar input to produce musically correct, tight harmonies as well as intelligently mixing effects, EQ, dynamics, and levels. With intelligent arrangement of 2-harmony voices based on guitar and voice input, Harmony-G XT is an essential tool for singing guitarists. 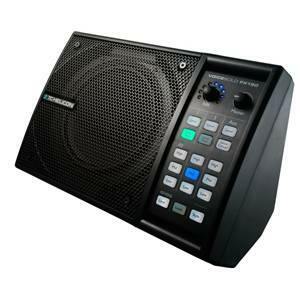 Harmony-G XT is your perfect onstage partner. 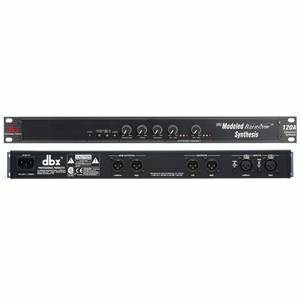 It listens to your performance and decides what harmony notes would sound best with your song. 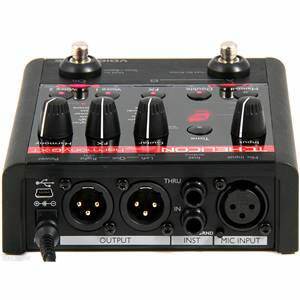 Connect your guitar and a mic, choose one of the presets, play guitar and sing. It's that easy! No special guitar pickups, pre-programming, or extensive musical knowledge are required in order to use Harmony-G XT effectively. From a standing position you can flip through through the five factory presets to find the one that matches the song the best. If you only need three presets or you want up to ten, this is configurable in Harmony-G XT. In a recording you can layer your lead melody to create extra thickness. Live, it's not so easy. 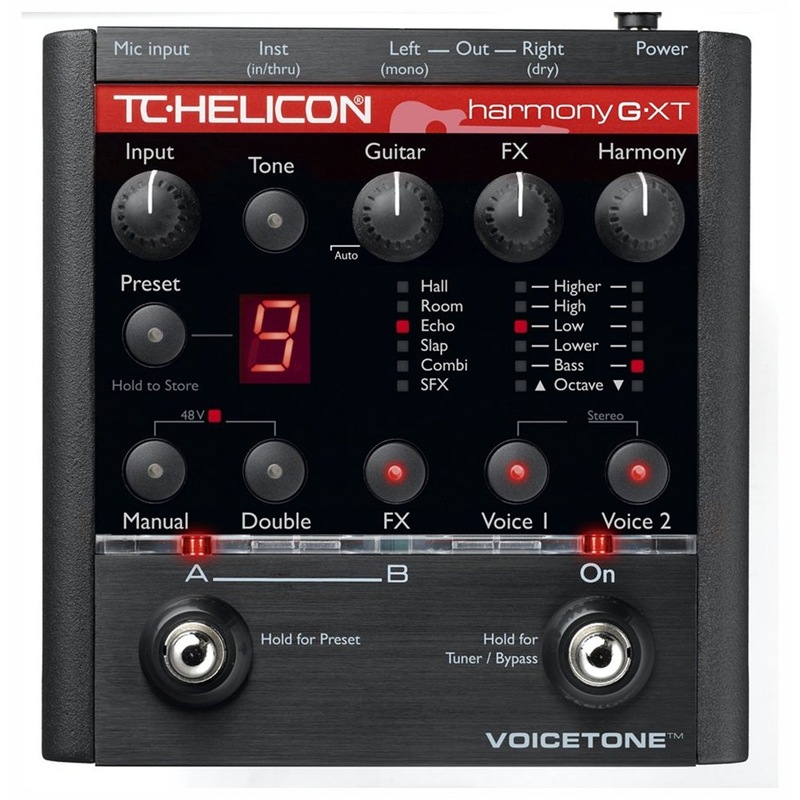 The Double button on Harmony-G XT activates a realistic, overdub style doubling effect on your voice that you can use alone or in tandem with the harmony voices. You have four options for doubling you can choose from: The default: 1 voice with tightest humanization; 1 voice with looser, more natural humanization; 2 tight voices, or 2 natural voices. Don't let that simple-looking Tone button fool you. Beneath is a pro-level signal chain including Adaptive Shape, a unique boom reduction and brightness enhancer; Compression for smoothing peaks and gently raising low level detail; De-ess, which reduces harsh consonant sounds, and Adaptive Gate, which can help reduce feedback while reducing harmonized chattering of instruments when you're not singing. Once Tone is activated, it remains active when harmonies are on and off and even in Bypass so you can chat with your audience using the same great tone as when you sing. Auto chromatic pitch correction gently shifts your voice closer on pitch, making you sound better. It's called Auto Chromatic because you don't have to set anything other than turn it on. It's like singing with a person who sings perfectly on pitch. The subtle pitch adjustments improve your sound but they also serve as a guide that helps you sing better too. 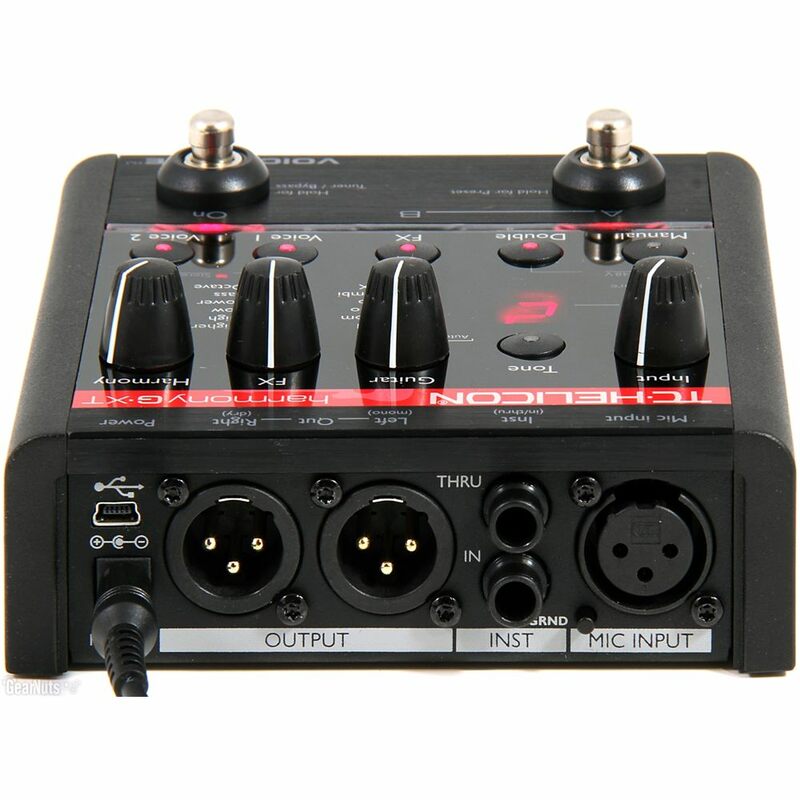 Harmony-G XT has a USB connection and a free, included web applet called VoiceSupport which allows easy backup and restore of your presets to a computer, fast product registration and up-to-date news on software updates, tips and tricks and demo videos.